ATV Offroad Fury 4 - PlayStation 2 NEW! 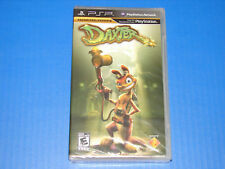 4.5 out of 5 stars - Daxter PSP Sony PSP ***BRAND NEW*** BLACK LABEL - NON GREATEST HITS EDITION! 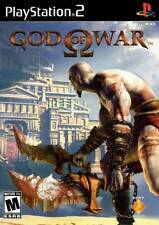 128 product ratings128 product ratings - Daxter PSP Sony PSP ***BRAND NEW*** BLACK LABEL - NON GREATEST HITS EDITION! I promise to fix any problems with your order! Excellent condition and plays perfectly! 5 out of 5 stars - Mother 3 (Nintendo Game Boy Advance, 2006) GBA English Translation Earthbound ! 89 product ratings89 product ratings - Mother 3 (Nintendo Game Boy Advance, 2006) GBA English Translation Earthbound ! 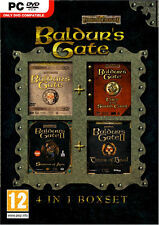 The Complete Baldur's Gate Compilation! As you venture through Throne of Bhaal, a storm of chaos and destruction thunders across the Sword Coast - fulfill your destiny in the decisive conclusion. What's worse, trading caravans coming from all directions into Baldur's Gate are under constant attack from bandits and cutthroats who loot not for gold and gems (although they often take those too. ), but for iron. Use your creativity to design your crew's cars with the revolutionary new Autoscuplt car customization tool that gives you the power to turn every vehicle into the car you've always wanted. Trending at $33.20eBay determines this price through a machine learned model of the product's sale prices within the last 90 days. 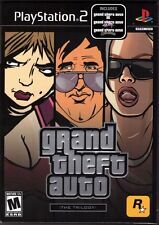 The first 3D releases in the epic saga are here together in sequence: Grand Theft Auto 3, Grand Theft Auto: Vice City and Grand Theft Auto: San Andreas. Five years ago Carl Johnson escaped from the pressures of life in Los Santos, San Andreas. a city tearing itself apart with gang trouble, drugs and corruption. Trending at $3.38eBay determines this price through a machine learned model of the product's sale prices within the last 90 days. Wii Sports for Nintendo Wii! Final Fantasy V Advance (Nintendo Game Boy Advance, 2006). Condition is Like New. Shipped with USPS First Class Package. Puzzle Kombat includes over 10 Mortal Kombat characters, each with a super-move to trigger against opponents. NEVER BEEN OPENED. There are 2 different systems in the world, NTSC & PAL. Do you have a PAL or NTSC system?. Platform : Playstation 2. greatest hits, platinum hits, or the player’s choice label. Playstation 2. Playstation 3. Playstation Vita. Condition : New. Nintendo Wii. Nintendo 3DS. Everything is in great and lightly used condition, but the case has a weird scrunched up plastic at the bottom. See picture. May have very light or no surface scratches. Case and artwork are included but may show minimal signs of wear. If applicable: DLC or activation codes may be expired or not included. If such is the case, we will try all we can to replace the item with an identical item in working condition. 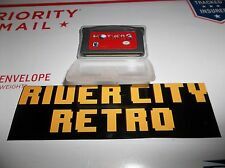 This item is New never been used in factory Sealed. Condition: New. 130 Shore Rd. Mila Technologies, Inc. Our sales representatives are available throughout the week to assist you with any order related issues. You will be instructed where to send back your order. 4.5 out of 5 stars - ATV Offroad Fury 4 - PlayStation 2 NEW! 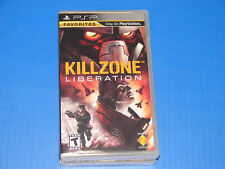 67 product ratings67 product ratings - ATV Offroad Fury 4 - PlayStation 2 NEW! Trending at $7.98eBay determines this price through a machine learned model of the product's sale prices within the last 90 days. Here we have The Legend of Zelda: Twilight Princess for the Nintendo Wii. Tested & working perfectly. Complete w/ Manual. No scratches on the Disc. Block Block 1991/10. Three Wonders 1991/07. The Speed Rumbler 1986/09. Eco Fighters 1993/12. Strider 1989/03. Side Arms Hyper Dyne 1986/12. Title Release. Trending at $14.87eBay determines this price through a machine learned model of the product's sale prices within the last 90 days. The multiplayer mode provides unprecedented depth and variety by allowing up to 16 players to battle it out online with the option of single or split-screen Internet play. HD TV and HDMI Cable connection may be required to play. Qty for Sale = 1 (One). Wii Sports for Wii. This item is genuine, original. If you are not happy with it we will work to fix the problem. Just let us know. They arenot included in the listed price. (Item #ZB00009WNZAZ2|0). Condition: Very Good. HOYLE CASINO GAMES:THE BEST SELLING CASINO GAME OF ALL TIME! SHIPS FAST/FREE! Video Blackjack. Caribbean Stud Poker. Fortune Pai-Gow Poker. Four Card Poker. Pai Gow Poker. Video Poker. Three Card Poker. Big Raise Hold 'Em. 4.5 out of 5 stars - HOYLE CASINO GAMES:THE BEST SELLING CASINO GAME OF ALL TIME! SHIPS FAST/FREE! 9 product ratings9 product ratings - HOYLE CASINO GAMES:THE BEST SELLING CASINO GAME OF ALL TIME! SHIPS FAST/FREE! Street Fighter Alpha Anthology for Playstation 2 Brand New! Factory Sealed! ALPHA Anthology. 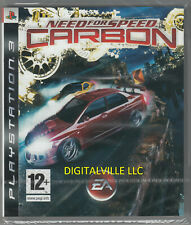 Platform: Playstation 2. 4.5 out of 5 stars - Street Fighter Alpha Anthology for Playstation 2 Brand New! Factory Sealed! 78 product ratings78 product ratings - Street Fighter Alpha Anthology for Playstation 2 Brand New! Factory Sealed! It has been professionally buffed (if necessary) and will have minimal to no scratches. Photo is generic and for reference only. Playstation 2. Playstation 3. THE PHOTO SHOWN IS AN EXAMPLE. YOUR ITEM WILL BE SIMILAR BUT MIGHT NOT MATCH EXACTLY. This item is genuine, original. If you are not happy with it we will work to fix the problem. Complete with professionally resurfaced disc. Trending at $6.98eBay determines this price through a machine learned model of the product's sale prices within the last 90 days.